Monkey Bars can be mounted directly to the wall with two varying depth brackets. 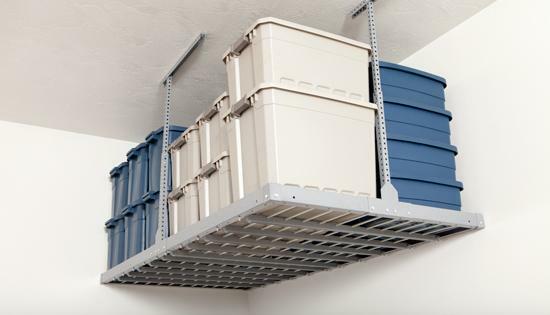 This provides for items that are taller than the height of the Monkey Bars to the garage shelving, such as ladders. 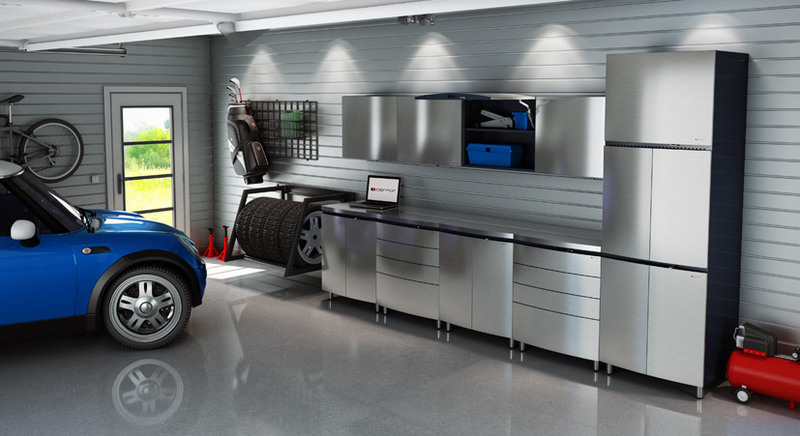 They are also useful to those wanting to hang items in other areas of the garage where shelving won’t fit. 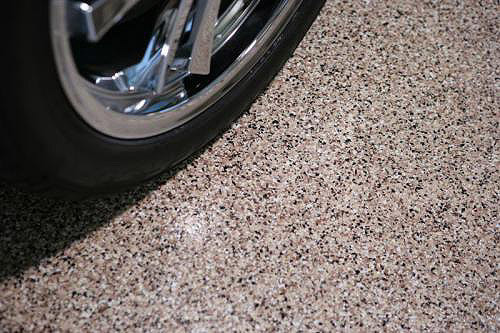 These further allow you to utilize the full potential of your wall space. 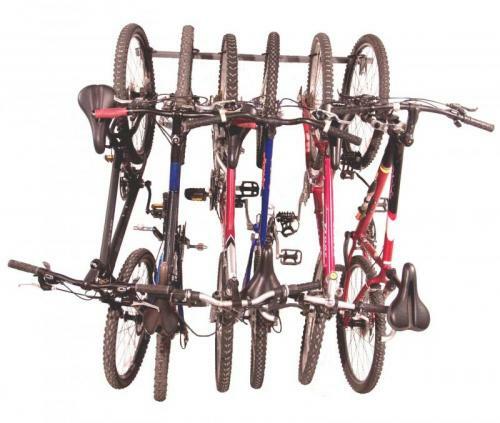 The only Garage Bike Rack to organize 6 Bicycles in a 4ft space. 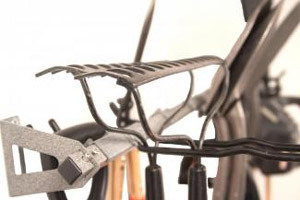 Wall mounted Bike Rack for all sizes of bicycles. 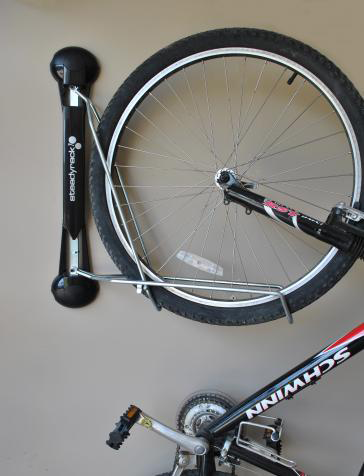 Hang bikes vertical with out lifting the bike. 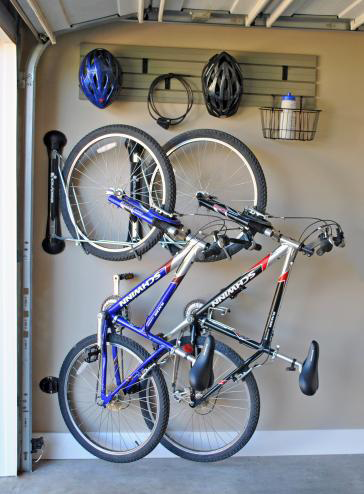 Rotate bike onto its back tire and then push onto the Steady Rack. Bike lifts itself off the floor. Rotate the bike either right or left until it is against the wall and out of the way. Install low for the kids to hang their own! The Garden Tool Rack is perfect for storing a myriad of garden tools such as shovels, hoes and rakes in your garage or shed. 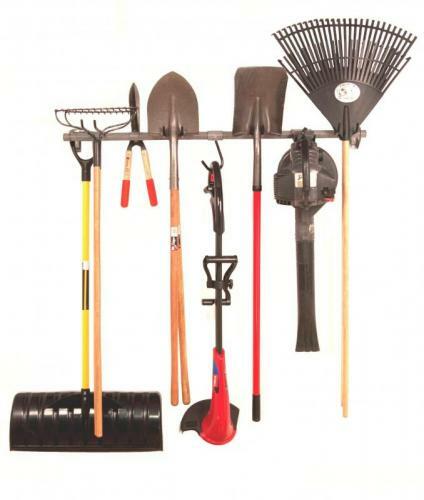 The Garden Tool Rack is also good for holding picks, brooms or even your leaf blower. 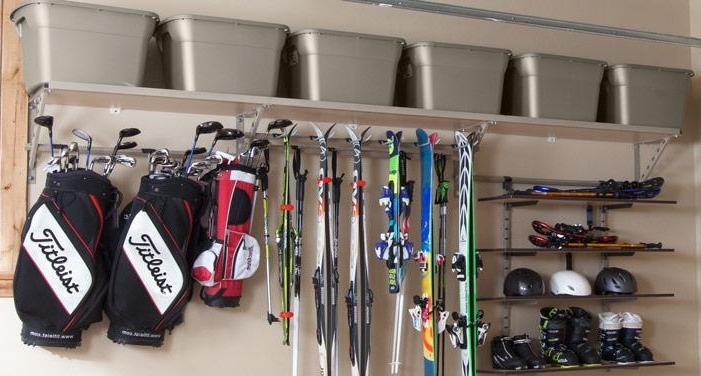 A Golf Bag Rack that really works. 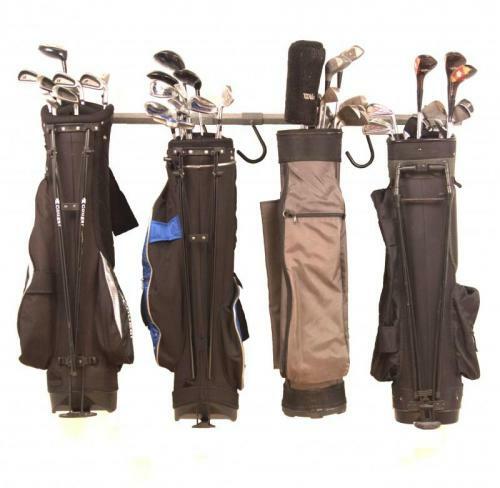 Store your golf clubs off the floor with the Monkey Bar Golf Bag Rack. 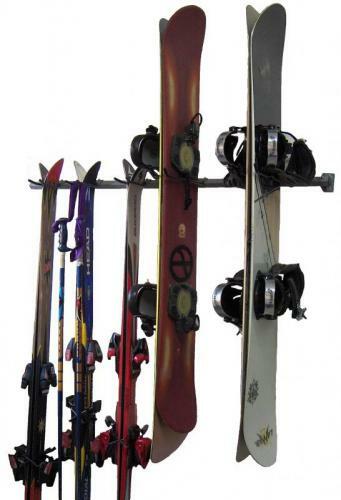 Camping Gear Rack by Monkey Bars. 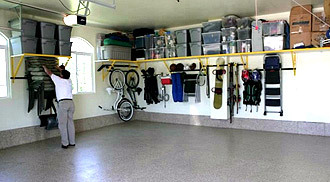 Store your backpacks, tents, sleeping bags and camping chairs off the garage floor. 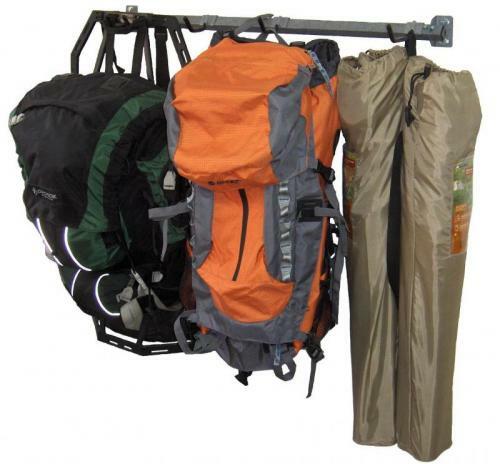 This rack will hold 2 to 3 backpacks and all your gear. 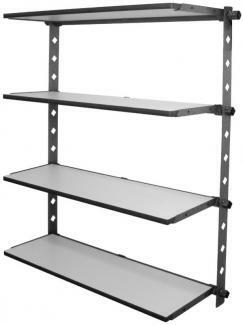 Adjustable shelves that easily fold up against the wall when not in use. 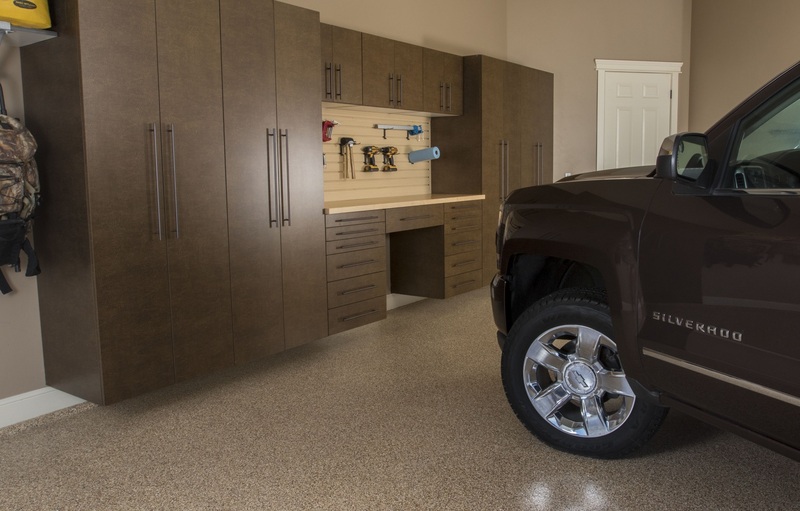 Converts from 4 shelves to 2 in just seconds.